lighthearted, fun loving, modern, retro, hip. we'll be announcing a random winner next Wed. I love these colors together! I have yet to make a quilt with them, but I'm dying to get my hands on these colors for a bright, happy summer quilt! Beautiful! Love red & aqua! The fabric is so pretty! 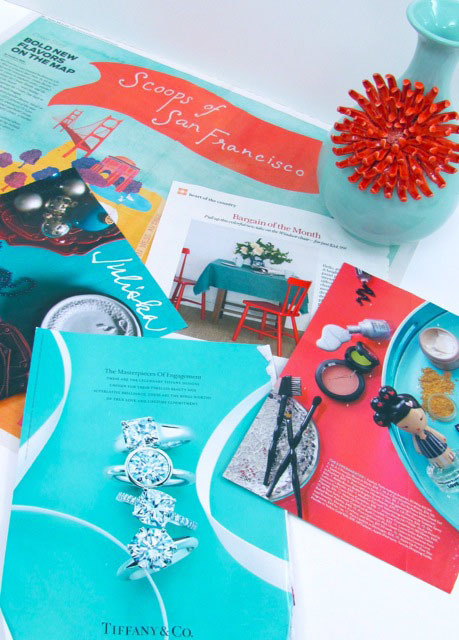 Oooh love the pairing of red with aqua! I haven't stitched anything with that combo but I'm sure I've made some cards! Love those fabrics! Thanks for the giveaway! This is one of my ALL TIME FAVORITE color combinations...throw in some pink and - well...PERFECT! Oh the things I could make with this! 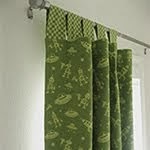 LOVE these fabrics! These would make adorable summer dresses/skirts for my daughter. My beach bag is made with these fabrics. Plain Jane Laminate. LOVE it! Makes me think of warm sunny weather playing in the water with my kids. Very inspiring. I see a darling apron out of the owl fabric. Love it! I have used these colors for a wedding quilt for a step daughter, she loved it. I'm currently working on an aqua/red quilt - LOVE that color combo! One of my first quilts was in this combo-I want to do it again! I haven't used this color combo to make anything before but these fabrics have definitely inspired me! I just helped put together a two-year-old's birthday party with a circus theme... and aqua and red were the color palate. It IS so happy! Lovely!!! 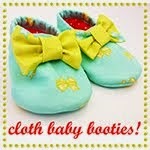 I made a few baby bibs in these colors and they were a hit! Thanks! I like the flower print across the front of all of them, but love the owls, too. The bee group I'm in picked those colours for our secret Project 51, they certainly are a happy mix! I am currently trying to decorate my dining room with this happy color combo. My table is Aqua and my chairs are Red. Everyone thinks I am crazy. I just need to make a table runner to tie it all together. I just made 'house' numbers for our apartment door and mounted them on these colours.... a happy entrance. I love this color combo because it is great for boys OR girls. I love this color combo! Last year I made my daughter a red velvet coat (red riding hood style) with big chunky aqua buttons, and I made her a matching aqua corduroy skirt, with red and white polka dot corduroy trim around the bottom. It was my favorite, and she liked it too. It just feels happy! My two favourite colours - and spots as well! One of my favourite colour combinations. So fresh and cheerful. Thank you for the chance to win those lovely fabrics. What could be more patriotic (in a very modern, yet retro kind of way), more refreshing, more tasteful, more cheery than red and aqua??? These colors together make me feel lively and like you said - HAPPY! 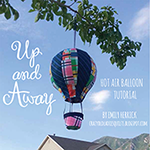 Gorgeous colours and fabulous fabrics - what a lovely giveaway! Wow! I LOVE this colour story - I never noticed it before, but these colors combine so perfectly to say summer! Ooh, fingers crossesd, the random generator picks me!!!! I haven't used this colour combination before, but I see it in my future. You are right, it is a really happy combination. This is my favorite color combo! Thank you for this chance. I used these two colors to make the State Fair Schnibble. It's really a happy little quilt. Thanks for the chance! These colors say summer, happy, memories and cute ruffley dresses for my girls. Oh how I'd love to get my hands on some of that fabric!!! Love the colors. While the fabrics are more girl inspired the colors are totally boy. My son's room is completely done in an aqua and red. I absolutly love the colors and I now feel inspired to do something for my little with them as well. Love red and aqua. My niece did a wedding quilt in those colors and it was show stopping. I would really like to quilt with these colors. Oh Gosh, Silly me, I did not answer your question! Yes I have used this color combo. a lot. Ran a swap with these colors made two quilts;(one for my sister, one for me. And did a block exchange! Yes, love these colors! I'm a big fan of red and aqua. So cheerful! Red and aqua is so modern selection, but still very girly selection. I like this color story very much! I made an aqua/red sun dress for my granddaughter from the Plain Jane collection. It was so adorable paired with some red polka dots. I would use these over and over! Awesome color combination! Brings in favorites from both of my daughters! doing a nursery in these colors for a friend and the word she used to describe this room when it was done was, "happy." Love it. I adore this colour combination, but haven't used them much together. Last year I made a Farbenmix Feliz birthday dress for my niece with these colours, with a matching bag and hat - she got so many compliments. I haven't personally used these two together yet, but every time I see this combination, I love it more and more. Much as I like it, I've yet to use this combination. I thought it was just me, but I see I have company! Thanks! Oh, pretty please! I'm crossing my fingers twice for this one :) Aqua/red is a fave combo for me! I have been attracted to this color combo since it started popping up...but have never done anything about it...maybe now is the time? I just finished knitting a baby sweater in these colors - it's adorable and I can't wait until the weather turns a little cooler so it can be worn! 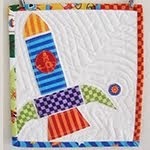 I am looking for the right combination to make my daughter a quilt, this fabric is just what I'm looking for! Love it! Aqua/Red is one of my favorite color combinations! 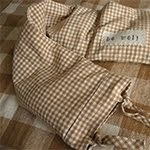 I've designed a quilt and kitchen accessories with it!! What a great color combo. I've not thoght to use just those two before and think my daughter would really enoy a quilt with this combo. Cute! I like those daisies! Love this combination. Red always says happy to me. My sewing room has red in it. I love this color combo. I'm thinking of using aqua/red in my guest room. This is one of my ALL TIME FAVORITE color combinations! I used it for inspiration in a cathedral window toddler quilt that is listed in my etsy shop. And I plan to make some Christmas items using that color combination. Oi used these colors this spring for a mother daughter banquet that I was in charge of. It turned out great! Not only do I love that combo in fabric,, it is on my walls of my little sewing, guest room area! Of course, I added school bus yellow w/huge black polka dots too....really jazzes it all up!! Oh yeah, I can sleep 7 in my little guest area!! I made myself very happy when i used this combo to decorate my tiny craft room! love these colors!! i used them to decorate my kitchen and make myself happy!!! We are having twins in November and not finding out the genders so I am painting the walls a light aqua and using red for one baby and grey for the other. We have white furniture and this will be so neat! I really like the fabrics in your stack are they a new line? Thanks! my favourite two colours! I just painted our wooden bench in an icey blue and am planning ice blue and red pillows! I love both those colours, and together they just pop! happy fabric bunting with these colors fly around our house during the summer months! This colour combination is magical! Oh I have some red and aqua blocks at home just waiting to be sewn into a quilt top! You are making me want to fake sick and run home to do it! PICK ME!!!!! I love this color combo! Last year, I used aqua and red as the primary color theme for my daughter's Alice in Wonderland birthday party. I also love using pops of red in my house since I have a predominantly cool aqua/teal decor. Both remind me of people close to me: aqua = Grandma, she had it everywhere in her house and red = Mom, she has that everywhere in her house. I also love it because both colors are good for girls and boys things. I adore aqua/red! It says "classic with a touch of fun!" Love love love it! I am using these colors in a baby quilt for a local charity. Happy is definitely the word for these colors! Love the colors and the fabrics!! I LOVE this color combo. I WILL have them one way or another! These colors looks so clean and summery... love them! I've used these colors together to make a picnic quilt & they were a big hit! I love this colors together! I am huge aqua fan already and it's amazing how many colors it really makes great combos with!! I LOVE these colors together. My kitchen is full of both! I'm dreaming up a colorful new apron with this collection. Can't wait! One of my favorite color combinations! It's so happy! I'VE MADE LITTLE DOLLS FROM THESE+THEY ARE SO CUTE! THANKS SO FOR SHARING! I used these colors in my son's nursery! LOVE, LOVE, LOVE this combo! I've used it quite a bit on my designs too! 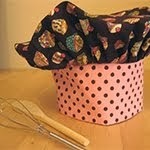 Would really enjoy making a cute summer skirt or apron with those fabrics! I am in the process of incorporating these colors in my sewing room. They are so upbeat and fun! You know, I had a serious sit-down with myself right after the first of the year. I've learned to sew within the last year, and I also embroider, crochet, knit and craft. I was thinking, "what makes me happy? Which colors define who I am?" About that time I looked over at my Sonic cup and there were those colors--aqua and red. The next day, I happened to see a fabric swatch of 'Plain Jane' in aqua/red. IMMEDIATELY, my mood elevated and I realized--THESE are my colors! I am in process now, of planning a makeover of my home in these colors that make me so very happy. Yes!! Made an apron for my daughter 2 Christmases ago - aqua print with red cherries! Still one of my favorite prints! I love Aqua! It seems to go with everything and makes it springy/bright. I love these colors together! 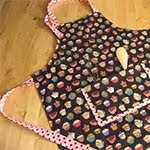 I have made several pillowcase dresses and aprons with your plain jane fabric. These colors just make you happy. Thanks for the giveaway. I have made a lot with Lil Plain Jane Aqua... just added something to the group on Flickr yesterday that was quite cute, if I do say so myself! My sister-in-law had these colors for her wedding last year and it was fantastic. 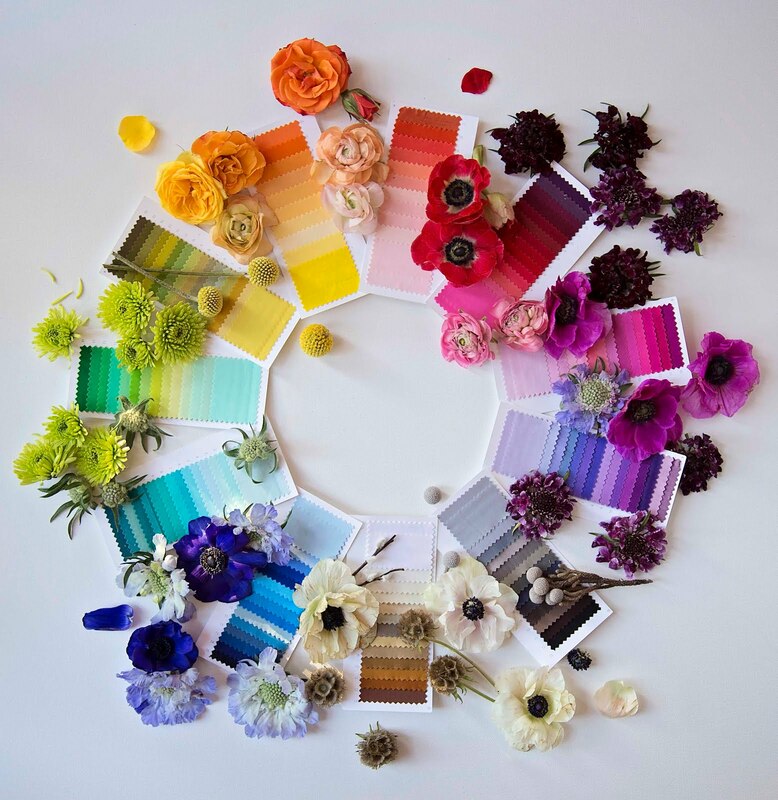 I just discovered this blog and can't wait to see more color stories for inspiration! Thanks! These are the colors we used for my daughters 3rd birthday! So fun together!!!! Someone above in the comments suggests aprons and I think that is a great idea! 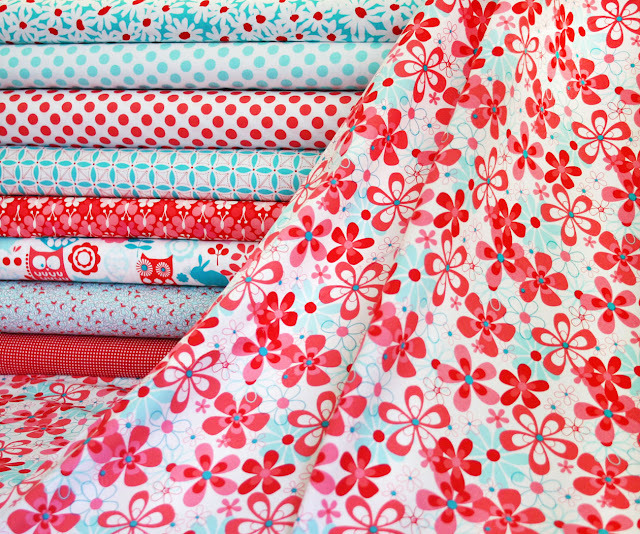 Love the big plain jane flowers and wish you would reprint it or put it on Spoonflower! As you can see I am using it as a focus fabric. I love it because it is a very happy fabric. I love those red on white dots and the aqua/turquoise on white dots in the photo above. I am in the process of redoing my bedroom and lobbying for this color scheme. We will see. 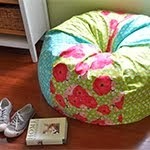 I hope you will add your fabrics to SeamedUp as well. Oh, my favorite combination right now. Love it. I love these colors together and wear them all the time, not only in summer... I made lots of bags with aqua, red and flowers or dots... The fabrics look amazing, I would love to win ! I agree so Happy! I love this color combination! 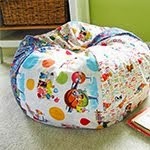 Made a photo album on my Facebook page with designs from this fabric! Love these colors together!!! I am a total "red" person! I love red and almost any intensity! The combination with the aqua makes the red a bit smoother and nice ;o)! I totally agree, Red and Aqua = Happy! I have been collecting them for a couple months now to make my grand daughter a quilt and matching curtains for her bedroom! I don't think my first attempt worked! I love the colors together. The red is so hot and the aqua so cool. Like a pool on a hot summer day! I haven't used this color combo, but I think it would be great for a beach blanket! No, I haven't used these colors together yet, but probably will sometime. They're so cute! Thanks for the fun! what an amazing color combo! i discovered a love for this one, last summer. so i made strawberry shortcake and put them in my turquoise bowls. it was a visual feast! i would love to make some tote bags with this combo! Summer! this color story makes me think of summer and the beach in California. I would love to make my kids summer accessories. I am very surprised but I love this color combination. So bright and cheerful! I LOVE the red and aqua colorway! I've used a lot of Lil Plain Jane to make girls dresses. They are a big seller. I make pettiskirts in this color combination & Im planning mating shirts with this collection! I love this combination so much I had my logo changed to red and turquoise...Love it!!! I have just finished making a quilt and decorating my daughter's room in these colours my 2yr old daughters response "oh WOW!".... I love the combo so much am really wanting to make my other daughter a quilt in the same colour way! Gorgeous!!! LOVE these colors together!!!! I see dresses for my Granddaughter!!!! Bright and Beautiful!!!! I can't get enough of them!!! Those colors are great together. I almost put them together for a bee string block for one of my bees, but then I kept that one for myself. I just couldn't give it up. These are fabulous fabrics and the color combination does make me smile. I would simply love to win these! Thank you for the giveaway. So beautiful! I just feel more summery when I look at them. 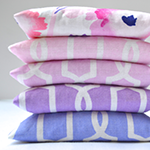 I just discovered your fabrics and I can't get enough! Love , Love, love the color board. Love the blue and red bird cake. That's on my list of favorite cake decor/design. I started to notice aqua and red combination in quilting/home fashion fabrics when I immigrated to US. Back home light blue was always paired with yellow , light green , purple or navy blue. How fun, and true. I have a sewing machine placemat thingy in these colors. It makes sewing that much more fun! Such a retro combo for me, I would love to win. Thanks for all the colour stories, they're fun to read. I've been using lots of aqua lately but so far have used it with lime green and yellow. Using it with red is definitely on my list! Your fabrics and photos are inspiring. Yes, I used this combination in a string quilt - aqua paired red and also some other colors. I wanted contrast. LOVE this combination! So happy, so vibrant. I really need to make something from these! I love these colors!! They make me feel happy :). Would love to win! Aqua and red are the colors in my creative space! I would love to win! You're right. Just look around a little and you'll see those colors together. On my desk my Yoplait yogurt and Sonic drink cup are in those colors. As for myself, I made my sister-in-law some maternity tops in that colorway. I guess that would qualify for a HAPPY event. Thanks for the giveaway. I haven't made a quilt with these colors yet, but I'm hoping to--and the person it will make happy will be me! Have an aqua/red quilt in progress for my (king sized) bed! I am using redwork blocks and fussy cut flowers in it as well as lots of mixers- dots, stripes, etc. I think it's going to be my masterpiece! Have never used aqua and red alone together, but have a turquoise and red (darker shades) quilt in process (slow process). Since turquoise/aqua is one of my favorite colors, it finds its way into almost everything I make if it's at all possible! Love, love love! I'm expecting my first girl after having two boys and decided I was going to use aqua/red to decorate the nursery. 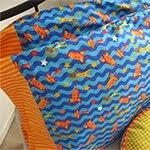 Was in the process of looking for fabrics to make the bedding when I found this blog. These colors are HAPPY and I can't wait to see how the nursery comes together. Love this gorgeous color combo!! 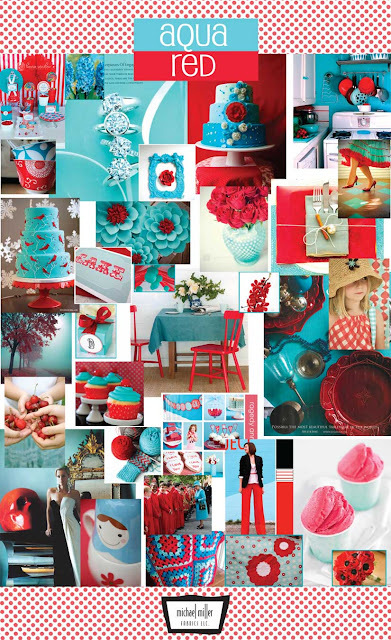 I am working on a red and white quilt - but I love this combination of aqua with red. It is so cheerful- I love the combination! I have some fabrics stashed together in those colors. I love that combination. It always makes me smile! I haven't used this combo before (I've often paired aqua with brown or green), but I love it! Love the color combo. I've used it on cards for sure, and also on a kitchen towel. Used the bottom flower fabric actually! Hope to win!! What a beautiful combo! I never thought of those two together. 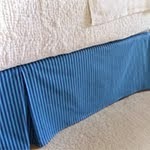 There are many combinations I came up with, for quilting and for wearing but this is just one I didn't think of. Great idea! Very inspirational! Sure I will take it for one of the many baby quilts I make. BTW, loved the tutorials, especially those huge Bean Bags but also the other useful stuff! i love the combo of aqua and red--especially on a bright white background. i haven't made a quilt with these 2 colors exclusively--but i want to! I am so drawn to these two colors together! I am questioning whether they're found together absolutely everywhere these days and therefore the inundation has convinced me, or if they really do complement each other and have a positive effect on me. I've actually decided it's the latter...they just WORK together, so nicely. Oh boy how I'd love to start a project with such happy colors!! Maybe soon. Thank you for the inspiration! I love these two colors. 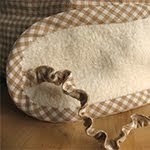 I can hardly wait to make a quilt with them - you are right - it just sings out happy. Thanks for the opportunity. 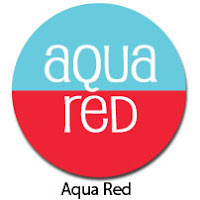 the first time I saw red/aqua together was in 1969 - my friend had painted her kitchen cabinets with red inside and around the base and bright aqua doors - it was the first thing seen at her entry. She really made a statement with those colors, and I've been a believer ever since! 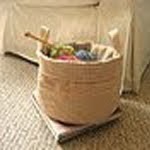 Great for toys, too! The combination of the colors look so pretty!! I love the ideas you guys did with the poster board!! This color combination isn't something that was an instant beauty in my mind, but it's really grown on me. I'm actually really loving it lately. It IS happy happy happy and I LOVE the owls and polka dots. These ARE happy and cheerful colors. Would love to win some!! Have loved aqua forever...adding red makes it so fresh. Thanks for the inspiration. 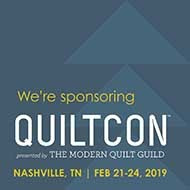 It's funny: this is such a great combo but until I got into quilting and fabric, it's not something I noticed or would have thought of myself! I'm glad I discovered it because it now is one of my favorites - so happy! Love the color combination! I've used them in patriotic blocks for charity quilt. I am, just this evening, using Plain Jane, Red Quarter Dots and Aqua Eiffel Tower to make a bean bag chair for my daughter's 7th birthday on Monday! I love aqua and red! I love these colors! What a wonderful giveaway! What beautiful contrast! Love these colors! Such a perfect combination! They make me smile! oh my, how could anyone ever choose just one color combination when they all reflect every mood i have!! thanks for sharing such great collections~ i'm starting my wish list now!! Wow is pretty cool, i have never try to to combine this colors and they look very cool, thanks for open my eyes. After two awesome boys we decided to try one last time for a girl. Tears flowed when the dr. Told us we were being blessed with a princess. I've always wanted aqua and red for the nursery but am finding it rough to find crib bedding in these colors. I can't wait to lay our sleeping little girl in s red and aqua nursery. The colors remind me of my childhood and are so bright and lively! !